Information shared with Pear Bureau Northwest and its agencies is not used in ways other than that which are clearly intended when the information is shared. Personally identifiable information, including addresses, e-mail addresses, and telephone numbers, are not published, sold, rented or otherwise distributed. Individuals who contact Pear Bureau Northwest for business or non-consumer related purposes, or who are requesting specific information that is related but not directly within the purview of Pear Bureau Northwest, may have their message forwarded to an appropriate organization, such as those within the industry, research, government or education system, who can assist them. Such transfers are rare, done on an individual basis, and done in the best interest of serving users at the Northwest Pear Pages. Persons who contact Pear Bureau Northwest, or enter any online contests, may have their first name, city and state of residence, photography or artwork published in the USA Pear pages, and/or used for any other promotional or advertising uses including uses beyond those related to the Internet. Pear Bureau Northwest DOES NOT publish last names, addresses, e-mail addresses, telephone numbers, or personally identifying photography without prior approval from the person whose personal information is to be published, and only if that person is 18 years of age or older, or permission is received from a parent or guardian. Individuals who would like to be included on any Northwest Pear e-mail list must sign themselves up for that list or agree to be included when participating in a contest and may unsubscribe at any time. Information collected through e-mail list subscription is used for no other purpose than to facilitate the delivery of the specific USA Pears newsletter the user has subscribed to. Pear Bureau Northwest does not operate newsletters for children. Pear Bureau Northwest may use email address to engage with subscribers on USA Pears social media platforms, including Facebook, Instagram or Pinterest. Subscribers may unsubscribe from Pear Bureau Northwest newsletters at any time and may hide any social media advertisements that are viewable. Pear Bureau Northwest will not share or sell this subscriber information to any third party at any time. Pear Bureau Northwest utilizes Google Analytics to understand and refine the type of information found on the pages of USA Pears websites. Visit Google Analytics privacy statement to learn how they protect your personal information. The identification of visitors and page visits are used privately by Pear Bureau Northwest to improve the user experience and is never shared with nor sold to any third party. Contact Pear Bureau Northwest to request information about data and information that may be held by Pear Bureau Northwest, recognizing that no information has been nor will be shared with a third party for the purpose of reaching users. All content displayed or part of USA Pears websites including but not limited to text, graphics, logos, images, button icons, audio clips, video, photographs, data, music, software, and other material, are owned or licensed property of Pear Bureau Northwest or its licensors, and are protected by copyright, trademark, patent, trade secret or other proprietary rights and these rights are valid and protected in all forms. All original content is copyrighted as individual works and as a collective work under the U.S. copyright laws (17 U.S.C. Section 101, et. seq.) and international treaty provisions. PEAR BUREAU NORTHWEST and related marks, design marks, product names, feature names, and related logos are trademarks of Pear Bureau Northwest and may not be used, copied or imitated, in whole or in part, without the express prior written permission of Pear Bureau Northwest. Pear Bureau Northwest’s trademarks and trade dress may not be used in connection with any product or service in any manner that is likely to cause consumer confusion, or in any manner that disparages Pear Bureau Northwest or suggests a sponsorship, affiliation or endorsement by Pear Bureau Northwest. 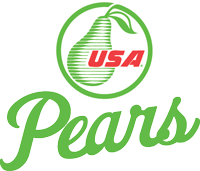 All other trademarks, service marks, logos, slogans, domain names, and trade names displayed on USA Pears websites are the intellectual property of their respective owners and are used by Pear Bureau Northwest with permission. Pear Bureau Northwest respects the intellectual property rights of others. Pear Bureau Northwest’s policy is to respond to notices of alleged copyright infringement consistent with the Digital Millennium Copyright Act (“DMCA”). Content on USA Pears websites that is allegedly copyright-infringing can be identified and removed using the process outlined below, and all users of USA Pears websites agree to comply with this process. If you have a good faith belief that your work has been copied in any way that constitutes copyright infringement, you must file a DMCA notice with Pear Bureau Northwest’s Copyright Manager. A DMCA notice must in the form of a written letter, and contain the following information: A description of the copyrighted work that you claim has been infringed. • A description of the content on USA Pears website(s) that you claim infringes your copyright. When Pear Bureau Northwest receives a notice consistent with the above procedure, it will respond consistent with the DMCA. Pear Bureau Northwest reserves the right to ignore a notice that is not in compliance with the DMCA, and may, without waiving any of its rights or defenses, respond to a non-compliant notice. Pear Bureau Northwest welcomes the submission of user-generated content including but not limited to user photographs, pictures, graphics, ideas, writings, music, videos, audio recordings, comments, reviews, testimonials, or other similar content, through USA Pears websites, third-party social media platforms, email, text message, and any other means of transmission, electronic or otherwise. By transmitting user-generated content to Pear Bureau Northwest, you warrant that the user-generated content is your own and does not violate or facilitate the violation of any law or regulation, and does not violate the rights of any third party, including copyright, trademark, privacy, or publicity rights. Pear Bureau Northwest is under no obligation to review, investigate, make use of, return or destroy, or store any user-generated content it receives. By transmitting user-generated content to Pear Bureau Northwest you grant Pear Bureau Northwest an unrestricted and unconditional right to use the user-generated content in Pear Bureau Northwest marketing and advertising, without compensation or obligation to you. In addition, you grant Pear Bureau Northwest the right to include your name along with the user-generated content submitted by you. As such, do not transmit to Pear Bureau Northwest any user-generated content that you deem to be private or confidential. the WIPO Performances and Phonograms Treaty. The DMCA also addresses a number of other significant copyright-related issues. Pear Bureau Northwest operates contests on its websites and social media channels for the purpose of offering guests an interactive and/or learning experience with an opportunity to win prizes. Pear Bureau Northwest does not maintain an archive of information obtained in contests, and does NOT use such information in ways other than to facilitate the operation of the specific contest and sign the participant up for periodic newsletters. When submitting a contest entry, users will automatically be signed up for USA Pears periodic e-mail newsletter. Subscription to the newsletter can be canceled at any time by the user. Quand une poire est-elle mûre?